Now that 30 states and the District of Columbia have legalized some form of cannabis, whether for medical or recreational purposes, advocates and opponents are keeping a close eye on the federal government’s perspective on legalization and what it is doing about medical marijuana research. NIDA (National Institute on Drug Abuse) is the federal agency in charge of researching illicit drugs and addiction. 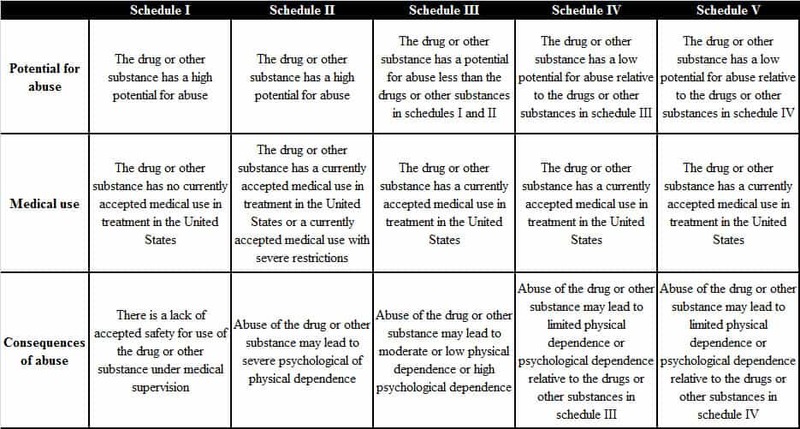 Since marijuana is a Schedule 1 substance, that places cannabis under NIDA’s umbrella. Not much has really changed in truth on cannabinoid research and development from within NIDA, but there is some evolution of perspective. NIDA always held with the perspective that marijuana was a gateway drug, which somehow not only sent a message that marijuana was bad to consume, but that by default consuming it meant that you would inevitably use many other illicit drugs and contend with their side-effects as well. NIDA’s perspective always seemed to be, and still is today, that the psychoactive effects caused from THC consumption are a side-effect of use rather than the main reason why consumers used cannabis in the first place. The National Institute on Drug Abuse (NIDA) acknowledges research that makes several former concerns inaccurate today. Many statistics have come out that do not directly link marijuana use with cocaine, heroin or methamphetamine, which for all intents and purposes eliminates marijuana as a so called “gateway drug.” While NIDA is in a position to research marijuana, its particular focus is on the addictive nature of drugs rather than its medical value. Rigorous research on marijuana is rather lacking so like so many people, NIDA relies more on the stories told by others about the medical benefits of cannabis. 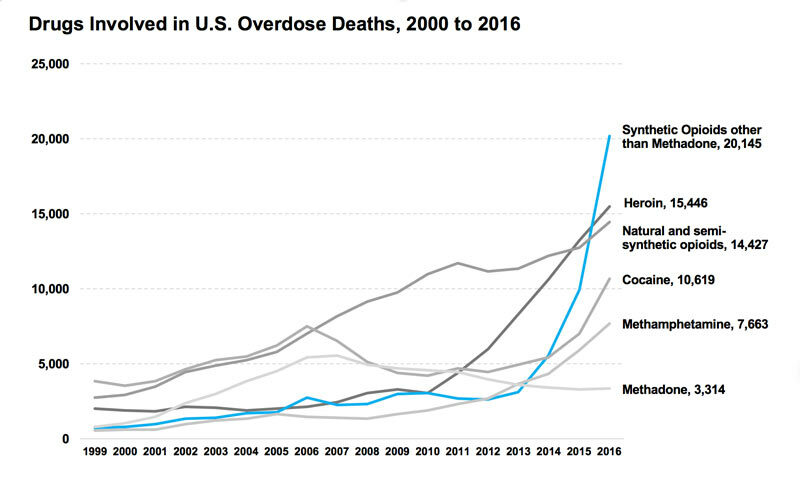 The opioid crisis may be the largest challenge facing the people of the United States and those with a gateway drug perspective on marijuana conclude that marijuana must be contributing to the opioid epidemic, not helping it. 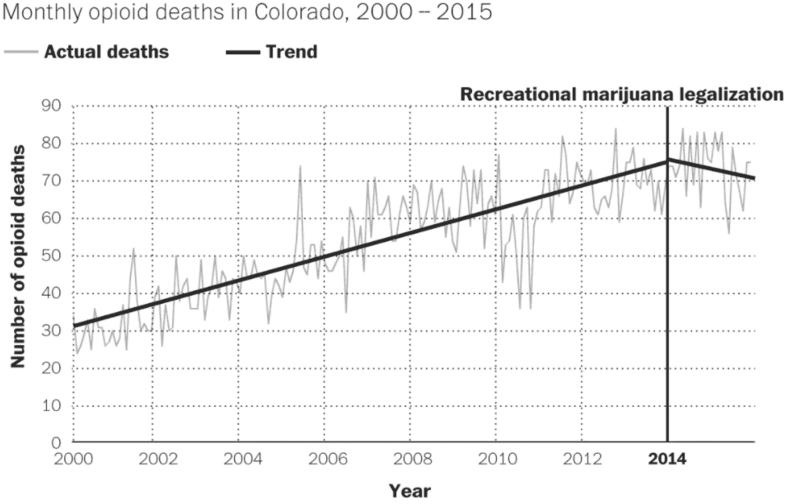 However, states like Colorado that have been offering medical marijuana since 2000 and recreational marijuana since 2014, have actually seen a decline in opioid related overdose deaths. A more detailed study funded by NIDA and conducted by the RAND Corporation shows areas with cannabis dispensaries have lower levels of opioids prescribed. 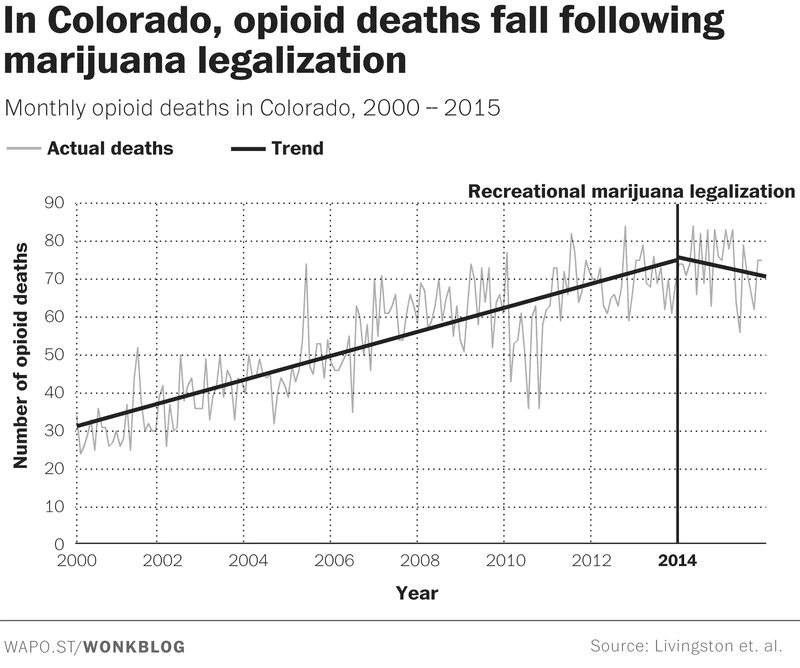 Not only have the amount of opioid related deaths declined in Colorado, but the national average has continued to climb. If less people are having opioids prescribed to them in states that have legalized cannabis, then that is unlikely to be a coincidence. As of now, NIDA and therefore the federal government, are hard pressed to even acknowledge that anything has actually changed about perspectives and knowledge concerning cannabis. Until the federal government elects to change policy and reschedule cannabis, the country will have to rely on state resources to continue the discovery process concerning cannabis.